Based in Central Pest both Szputnyik shops (Szputnyik D-20 – 7th district, Dohány u. 20. & Szputnyik K-22 – 6th district, Király u. 22.) 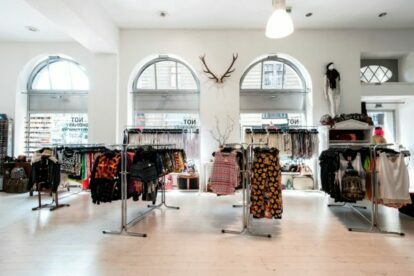 are exciting and individual fashion boutiques with a wide, uncommon, affordable offer and super-nice service. The Szputnyik shop team’s purpose is to focus on timeless fashion which influences all of us, keeping an eye on every detail, showing that fashion can last a lifetime – this is what they are passionate about! Szputnyik shops combine the pleasures of vintage and modern style shopping. Their aim is to bring beautifully, hand selected and superb pieces of high quality, stylish, vintage, retro and brand new clothing, jewellery and accessories for women as well as men. Each and every item has been picked with care to ensure there really is a unique piece for everyone. Szputnyik shop’s collection attracts experts and collectors, but also people who have a passion for fashion. So, if you are ready to try on a vintage look but want to combine it with a modern piece, this is the place to complete your contemporary outfit!